The BrainMap © Database is an electronic compilation of the results of peer-reviewed, published neuroimaging studies (both functional and structural) that utilized standardized coordinates to analyze and report their results (Fox and Lancaster, 2002). Data have been entered into this electronic compilation manually (i.e. by human review and investigator oversight) in accordance with quality standards and a meta-data taxonomy specifically developed for this purpose (Fox et al., 2005). The BrainMap data (as an electronic compilation) and the coding taxonomy are protected by copyrights held by the University of Texas Board of Regents. 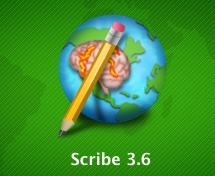 The BrainMap database was created to facilitate meta-analysis of the human neuroimaging literature. 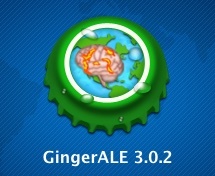 To this end, tools for database query and data retrieval (Sleuth) and data analysis (GingerALE) are provided free of charge to scientific users via the BrainMap website (BrainMap.org). It is intended, however, that data downloads using these openly accessed tools will be limited in scientific scope and total data content. These tools are not intended for repeated queries for the purposes of duplicating large segments of or all of the database. 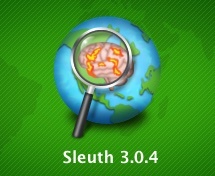 The BrainMap developers recognize that some meritorious projects will require more comprehensive access to the BrainMap database than can be readily achieved via the web- accessible tools. To this end, the option is provided to receive a large-scale data dump in the context of collaboration with one or more members of the BrainMap Development Team. Data dumps are available in various formats and scope, including incorporation into special-purpose software systems, e.g. for the purpose of co-activation-based connectivity modeling and co- activation-based regional parcellation. Please review our Collaborative Use License Agreement.